Prime Time Heating and Cooling LLC is there when you need us. Serving Livonia and the surrounding areas. We can meet all your residential HVAC needs. Customer service and satisfaction is our Prime goal. We offer fair prices, reliable service, and honest recommendations. Prime Time Heating and Cooling LLC is local, licensed, and insured. If you need service or want a free estimate on an installation complete the contact us form on the home page. Pleas include your name, phone number, and message about what your needs are. Or click on the request service tab and fill out the form with your information. We will respond quickly to set up an appointment date and time. Same day service may be available. Prime Time Heating and Cooling LLC offers maintenance to keep your AC and Furnace Units running at their top efficiency year round to keep your home and family comfortable. We can complete all repairs and installations, big or small to meet your individual needs. We install Mitsubishi Ductless heat pumps that provide heating and cooling down to -13 degrees Fahrenheit. We are a Mitsubishi Diamond Contractor. Please visit the link: http://www.mitsubishicomfort.com for more product information. 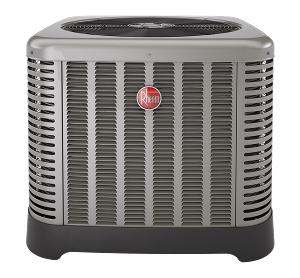 We install top of the line products that include Rheem furnaces, air conditioners, and HVAC products. Please visit the link: http://www.rheem.com for more product information.